Mary Ann was born on June 14 1807. She was the second child born to Jesse and Elizabeth Jenkins. The first child of the family, James Walter, was born in November 1805 but died in the February of the following year. Jesse and Elizabeth had six more children. The last two children, Jesse jnr., died as an infant in 1822 and William died at the age of four in 1831. Mary Ann married Thomas Turner in August 1828. Thomas was a Mariner and also lived in Wivenhoe. Their first daughter, Mary Ann was born the following year in April 1829, followed by Thomas in 1836, Elizabeth in 1840, Sarah Ann in 1843, and Lucy in 1845. According to the census, the family lived in Bath Street between 1841 and 1861. It is quite possible that Mary Ann and her youngest daughter Lucy, continued to live in the same house until 1867, when Lucy married Robert James Oakley who was a mariner. Mary Ann’s husband Thomas died in 1864. In that same year, Sarah Ann had married Walter Charles Stamp who she possibly met through her brother Thomas, as both he and Walter were serving aboard the same ship, the Phoenix, at the time of the 1861 census. Soon after her marriage, Sarah Ann moved to the Isle of Wight with her husband where they continued to live until sometime between 1871 and 1881, when they moved to live in London along with four of their seven children. During the time they had been living in The Isle of Wight, three of their children died. Their first child Annie died at the age of 3 yrs. Louis died at the age of 2 yrs and their last child Edith Eliza died in infancy. How heartbreaking must that have been. To lose a child would be devastating, but to lose three of your children at such a young age I find hard to imagine. In 1861, the census shows that their daughters, Sarah and Lucy, are living with Mary Ann and Thomas. Also living with them is Elizabeth Thompson age 20 and Mary Thompson age 2 months. Elizabeth is Thomas and Mary Ann’s second eldest daughter. She married John Thompson who was a Corporal in the army. It appears that he may have died in 1860 in India where he was stationed. If this was the case then he never saw his daughter. Certainly there are records to indicate this was possibly the case. There are no records to show what happened to Elizabeth, or her daughter Mary. It is possible that Elizabeth could have remarried and Mary may have then been given a different surname. Mary Ann’s only son is shown in the 1861 census to be serving aboard a ship named Phoenix but in 1871 he is aboard the Jane which is moored in London India Dock. The 1871 census of Wivenhoe shows Mary Ann, Thomas’s mother, to be staying with his wife Emma and newly born son George in Paget Road. What is less easy to know, is if Mary Ann was actually living in the home of her son or just visiting to help with the care of Emma and baby George, especially as Thomas is away from home. 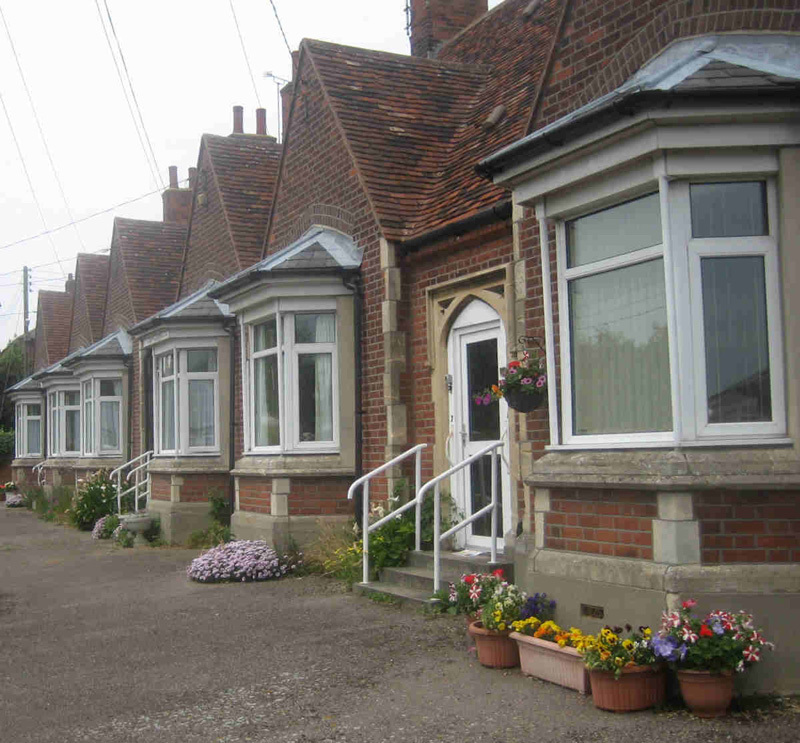 What is known is that in 1881 Mary Ann was living in one of the almshouses. By then, Mary Ann Turner is aged 74. When Lucy, the daughter who had lived longest with Mary Ann, married Robert it appears they lived most of their married life on Anchor Hill, Wivenhoe. They had 8 children, 5 daughters and 3 sons and lived in a 4 roomed house. The 1891 census showed that seven of the children were living at home with their parents. They ranged in age from 5 yrs – 22 yrs. Where on earth did they all sleep in a 4 room house? Privacy of any kind, even as they got older must have been near impossible. Mary Ann Turner, obviously named after her grandmother, and the second child born to Robert and Lucy, does not show on the census as ever living with her parents. In 1881, she is shown as being in the home of her grandmother, who at that time was living in one of the almshouses. Although a one bedroom cottage, it must have felt very spacious indeed compared to the living conditions for the rest of her family. Mary Ann’s eldest daughter also named Mary Ann ( and to avoid confusion I will call simply Mary ) is shown in the 1841 census at the age of 12 living with her parents. Their other child at this time is Elizabeth, aged 1. This is a large age gap between the two girls and it is easy to speculate what might have happened during that period. Mortality rates were high in the 19th century due to a variety of factors, some of which were, disease, poor sanitation and overcrowding. This last even in rural areas was a problem due to large families and quite often a need to care for ageing parents. Many diseases which are now so easily treatable, such as scarlet fever which was the commonest cause of death of children over the age of one. That is assuming they reached their first birthday, as it was quite common for babies to die in their first year. In the 1861 census Mary is shown as being unmarried and living with her 4 year old daughter Eliza in West Street. However in 1862 she married Frederick Hibbs, a mariner and in 1871 she is living in Quay Street with her daughter but after this time there is no trace of her or her daughter in Wivenhoe. It would appear that the only one of her 5 children is still living in Wivenhoe when Mary Ann moved to the almshouse sometime between 1871 and 1881. Was Lucy, and possibly Thomas, when he was not away at sea, still in Wivenhoe? We tend to think that during the Victorian period, people had large families in part to ensure their children would provide care and support in old age. This however is not necessarily the case as children could die or move to another area. I think one of the main reasons for large families is that women didn’t have the option of contraception, and so human nature took its course, often resulting in women having numerous pregnancies with the frequent outcome of miscarriage, or the loss of children in infancy or early childhood. It would appear that for Mary Ann Turner, only her daughter Lucy was living close by to offer support, and perhaps Mary Ann was as much a source of support for Lucy if Lucy’s daughter was in fact living with Mary Ann as shown in the 1881 census. I find it comforting to think that Mary Ann had the safety and security of the almshouse, and with it an income she could depend on. She also obviously had her granddaughter staying with her, even if it was only for short periods. I wonder if she took comfort in having that companionship at a time when many of life’s stresses were lifted due to her secure tenure. As I sit here in my almshouse, I think of the pleasure of hearing my grandchildren chattering and moving around my home. I hope that Mary Ann was able to find a similar pleasure in her granddaughter sharing her home. This page was added on 03/12/2016.